SSI type semi sub surface foam injec on systems are used to deliver expanded foam up to the stored liquid surface. SSI contain a certain length of synthe c hose according to fixed storage tank dimensions and flow rate to be delivered, and extend all the length of the hose over the liquid level stored in the tank to create a foam blanket which will cover the en re liquid surface. The hose container posi oned on the outlet side of the SSI's are equipped with a nylon coated graphite rupture disc to contain the hose in the container and to seal the container from sta c pressure created by the height of the liquid stored in the tank. Rupture discs can be made out of stainless steel or other materials on request. SSI's come with a leakage control-drainage valve to control the integrity of the rupture disc/sealing element. It is always recommended to use an isola on valve with SSI units to isolate the storage tank from the equipment. 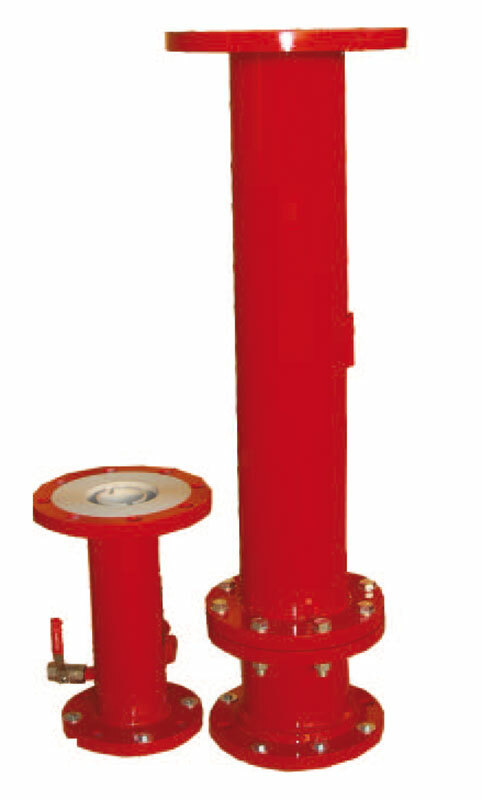 SSI's can be installed in dyke areas or over the tank. Standard rupture pressure of the disc ≥ +1 bar more than counter pressure.